There are so many birth control pill brands on the market that choosing one can be intimidating. While your doctor can help you select the right one for you, it helps to understand the different types of pills. Today's birth control pills come in several different formulations. They all contain hormones which work by preventing the ovaries from releasing eggs into the uterus. They also affect the uterine lining, so it would be difficult for a fertilized egg to develop. Can I Take Birth Control Pills With Hydroxycut Max? Sometimes, choosing among pill brands is less important than choosing the type of pill and the regimen to follow. The first decision is which hormone or hormones the pill will contain. Mini-pills contain only the hormone progestin, rather than estrogen. Estrogen gets into breast milk, so this pill is a good choice for breast-feeding moms. The mini-pill must be taken at the same time every day, and users may also notice breakthrough bleeding. Mini-pills may also be prescribed to women who have medical problems that prevent them from taking estrogen. It's important to be diligent about taking mini-pills at the same time every day because the hormones don't stay in your system very long. Combination pills are more forgiving. Most pills contain both estrogen and progestin, and these are called combination pills. It's important to note that the modern estrogen dose is much lower than the older pills. Combination pills are available in monophasic, biphasic, and triphasic. Monophasic pills contain the same level of hormones. Biphasic pills contain two different levels of progestin and estrogen. Triphasic pills have three different levels that change every seven days. Many women and many physicians prefer monophasic pills because hormone levels remain consistent, but biphasic and triphasic oral contraceptives are equally effective. There are 21 active pills and 7 placebos, in most cases. Some pills have 21 active pills in a pack but no placebos. Most birth control pill brands are very similar. Doctors will often recommend one based on what that doctor is used to, on what a patient's insurance will cover, or on what an uninsured patient can afford. However, a few brands do have special features. Yasmin is a combination pills that contains a special form of progestin. It appears to help with PMS symptoms, including water retention and bloating. There has been some concern about this progestin -- called drospirenone -- because of the possibility of increased blood clots. All of the pills that contain it - both brand and generic - are under increased scrutiny. Yaz is similar to Yasmin but it contains 24 active pills rather than 21. It has four placebos in each pack. Beyaz contains a folate supplement that is present in active pills as well as in inactive pills. Like Yaz, Beyaz has 24 active pills and four placebos in each pack. Safyral is similar to Beyaz (with a little more estrogen) and also contains a folate supplement. Loestrin FE is meant to be taken on a 24-day cycle. It's made for women who want to have shorter, lighter periods. Although most birth control pill brands will make periods lighter, Loestrin seems to have an especially strong effect. Over the past few years, several generic versions of Yasmin and Yaz have been developed such as Gianni (Yaz), Loryna (Yaz), Ocella (Yasmin), and Zarah (Yasmin). If the idea of having fewer periods piques your interest, you may want to explore extended cycle pills. Lybrel does not contain any inactive pills, so it completely prevents periods from occurring. You have to take the contraception every day, all year long. Seasonale does contain inactive pills, but much fewer than traditional pills do. There are only seven inactive pills out of 88 in a cycle, which translates into one period about every three months. Many birth control pill brands can be prescribed this way, but this is the first one to be sold specifically in three-month packs. Seasonique contains no inactive pills, but it does have seven low-dose estrogen pills out of 91 pills. This translates into about four periods in 12 months using 84 days of active pills. Monthly: Most birth control pill brands come in monthly packs. The schedule involves taking hormone pills for three weeks, then taking placebos (pills without any medicine) for a week. Bleeding similar to a menstrual period occurs during the placebo week. Monthly pills come in steady-dose packs and in doses that change gradually over the three weeks. The changing dose is meant to mimic a normal menstrual cycle. 24-day cycle: By taking a specially-dosed pill for 24 days in a row instead of 21, a woman can often shorten her periods to less than three days. Three months at a time: This schedule involves taking steady-dose pills every day for three months, then taking a week of placebos. It allows a woman to have a period only four times a year. Continually: This schedule would allow a woman to avoid having any periods at all. You should discuss the different schedules with your physician and make the decision according to your lifestyle and your general health situation. What Makes Birth Control Pill Brands Different? In addition to the different schedules, birth control brands contain varying types of estrogen and/or progestin. They all work essentially the same way; it's just that the molecular structure is a little different for each. One reason for the different types is that having a unique molecule allows the company to patent their brand. Another reason, though, is both helpful and confusing: different types of hormones seem to have varied side effects in different women. That means that one brand might make a woman feel irritable and bloated, while another brand lets her feel like herself again. The only way to find the best match is to give each brand a try. Doctors usually recommend trying one pill for a few months and "waiting out" any side effects. If your body hasn't adjusted to the pill after three months, it's time to try another kind -- either generic or brand name. 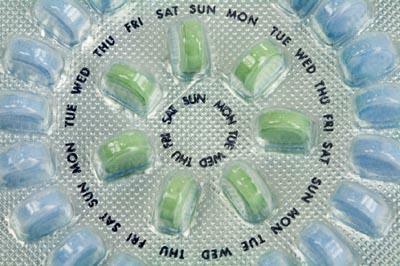 Many forms of birth control pills have generic versions which are usually less expensive than the brand name ones. The generic versions should have the same level of effectiveness and typically cause the same types of side effects. Since generics use different inactive ingredients than the brand name drugs, occasionally there may be some slightly different ones. Sometimes women switch to generics because of side effects as well. Choosing a birth control method can be daunting, but if you have settled on using the pill to prevent unwanted pregnancy, arm yourself with information. Oral contraceptives offer a range of options that can make selecting one a little easier. Creating a list of birth control pills with your doctor's guidance can make the choice simple and help you make the best decision for you.